While the first day of fall was last month, fall is finally beginning to creep into Atlanta. I do, however, mean creep. The mornings are cool, but by lunchtime it’s back 80°. Leaves are starting to change and fall. Pumpkins are popping up everywhere and football rules the weekends. The shorter days and longer nights are on the way. Typically fall is the time of year I exercise less. I tend to hibernate all fall and winter, perfectly comfortable spending my time on the couch. Whether watching football or TGIT. However, when I think about it fall is really the perfect excuse to slow down and take extra time to really look after yourself. Below are four tips to fit in health and fitness this fall. Nourish your body this season with seasonal foods. Shopping for seasonal produce will also save you some precious coins. Apples, cabbage, cranberries, eggplant, kale, pears, persimmons (hey, Charleston folks), pomegranates, potatoes, sweet potatoes, and winter squash. Basically think fall colors when you’re cruising by the produce: deep greens, dark yellow and oranges. Fall is the perfect time to crank out some hearty and healthy soups and stews. Remember the crock-pot is your friend. I get it the days feel shorter and maybe fitting a workout into your routine feels a little harder. I try to tell myself that even 15 or 20 minutes is enough time to get in a quick workout. I use walking my dog around my complex as my warm up and am not above a living room workout. I bought a set of resistance bands I could set up on my door for full body workouts turning my living room into my own personal home gym. However, figure out what works best for you: fitness DVDs, Youtube videos, Nike Training Club, or the Tone It Up program. Well literally, but also just layer up. I started sniffling last night and realized I probably should have thrown on another layer to walk my pup. The change in season brings about a change in climate. I know some people are already feeling the change in weather and in some places it’s basically 90° everyday. No matter where you live, be prepared when the temperatures do start to dip and keep this in mind as you plan outdoor activities. As much as I support eating healthy and finding times to fit in fitness. I think you should also make time for yourself and indulge. Whatever that looks like to you. Spend time relaxing at home, wrap up in your favorite blanket, wear your favorite hoodie and enjoy some early nights in. Binge watch Stranger Things and drink a spiked cider. Go and get the PSL with the whole milk and extra syrup. Now I’m not saying drink three a day, but bat an eye at the mention of calories and savor that latte. 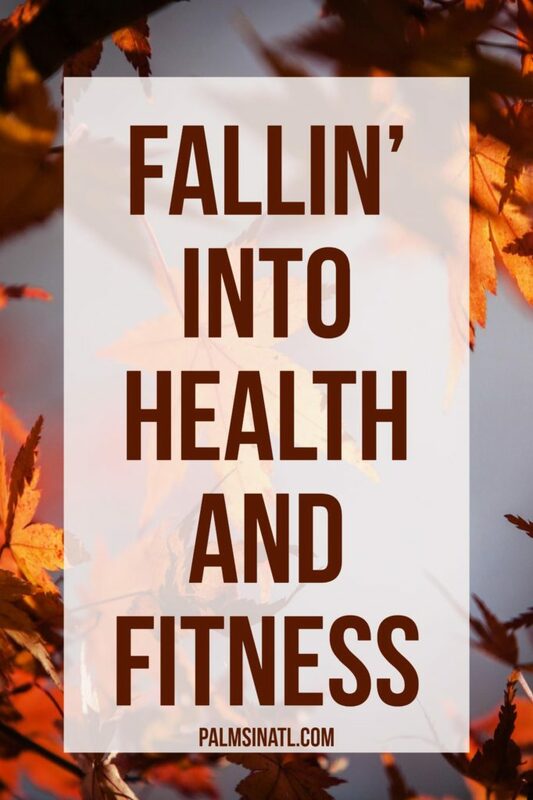 Do you plan on fitting in more health and fitness into your fall? Leave a comment below and tell me how. We have the same weather in NC. I am really trying to make sure i work out more this fall and winter but I am just like you I tend to hibernate those seasons! ohh I needed this! I need to get my fitness route back in action, thank you! 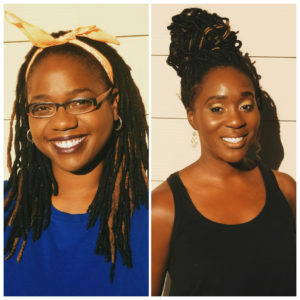 I love the neck part too, super helpful! Definitely the season for indulging in moderation – and I love the tip to workout at home. No excuses! I agree, great post! As recently I’ve been doing so many things, running, working out, working 70hrs/week, keeping strict diet I really appreciate some rest now and this what we all need!